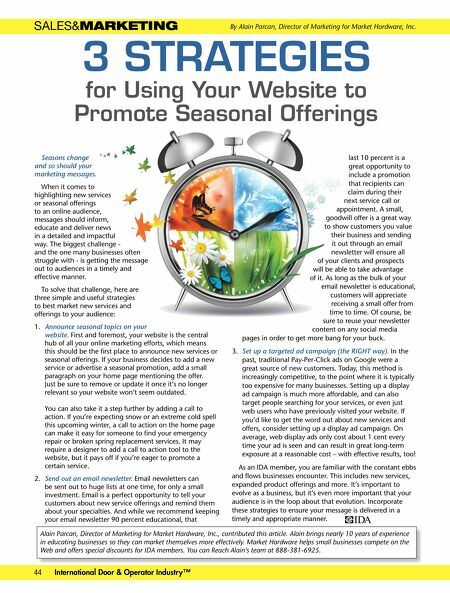 chiohd.com ©2018 C.H.I. Overhead Doors Because every second counts. C.H.I. 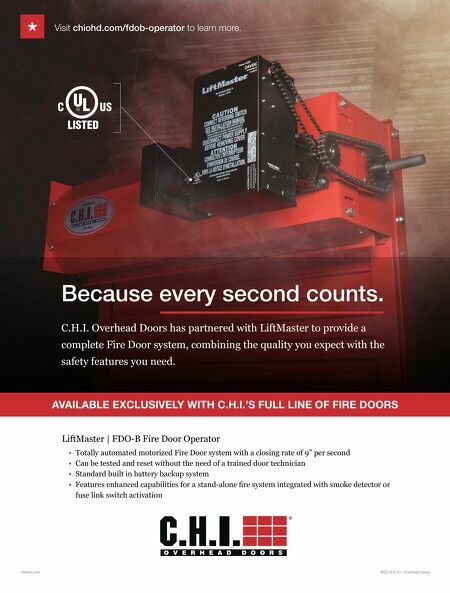 Overhead Doors has partnered with LiftMaster to provide a complete Fire Door system, combining the quality you expect with the safety features you need. AVAILABLE EXCLUSIVELY WITH C.H.I. 'S FULL LINE OF FIRE DOORS LiftMaster | FDO-B Fire Door Operator • Totally automated motorized Fire Door system with a closing rate of 9" per second • Can be tested and reset without the need of a trained door technician • Standard built in battery backup system • )HDWXUHVHQKDQFHGFDSDELOLWLHVIRUDVWDQGDORQH¿UHV\VWHPLQWHJUDWHGZLWKVPRNHGHWHFWRURU fuse link switch activation * Visit chiohd.com/fdob-operator to learn more.